The exterior of your home sets the first impression for visitors and passersby, but many homeowners overlook the importance of twice annual power washes. If you’ve noticed that your house is looking a bit run down these days, a simple wash can make a world of difference in its appearance. In addition to instantly improving the aesthetic of the home, power washing approximately twice a year will help preserve and prep the surface for future paint jobs. Interested in scheduling a professional power wash or trying it out yourself? Here, we share our tips for making your home shine. If you’re planning to go the DIY route, you’ll need to purchase a pressure washing attachment for your garden hose. We recommend using a zero nozzle with a 1/8” orifice. They’re available at most hardware and home improvement stores, so just ask a store associate if you’re having any trouble locating the part. This easy attachment will allow your garden hose to transform into an effective power washer, and will deliver enough pressure to wash away dirt and grime from siding, windows, gutters, and decks. Of course, the simplest option is to call in a professional. Power washing is an important step before painting, so a team of pros will have all the tools necessary to make your home look its best. Before you begin spraying down the siding and windows, be sure to clear the workspace of debris that could trip you or cause the hose to tangle. If delicate plants are nearby, you may want to cover them to avoid damage from the pressure wash. Additionally, double-check that you’ve closed all the windows and doors and have covered electrical components before you get started. Once you’ve ensured that the area is safe and your home is secure, it’s time to start the power washing process. 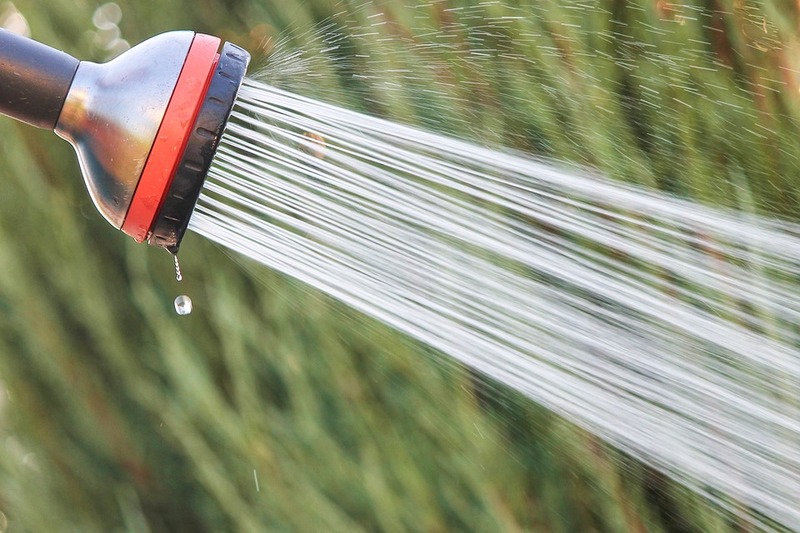 If you’re using an attachment on the garden hose, simply aim the spray toward the top of the house and hose all the way down, working your way around the property. The process typically takes about 30 minutes for an average-sized home, but may take longer if the exterior is especially dirty. When you’re finished, you’ll likely notice a significant difference in the appearance of the property. If you need to touch up any chipped or faded paint, it’s a good time to do so after you’ve allowed the exterior to thoroughly dry after the wash. Washing the exterior of your property twice a year will go a long way toward maintaining its appearance, and can even improve the longevity of the paint. If your hands are full this holiday season but you’d like to spruce up your home for guests, our team at Fordham and Maclean can help. Whether you’re looking for a simple pressure wash or a total paint makeover, we’ve got you covered. To learn more about our services and schedule an appointment, please call Hector Maclean at 303-324-0561.